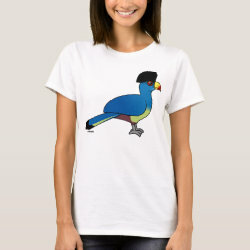 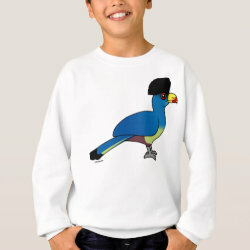 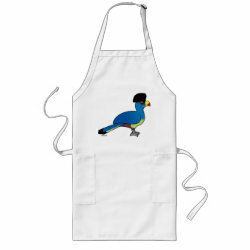 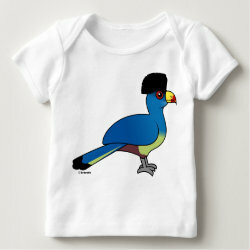 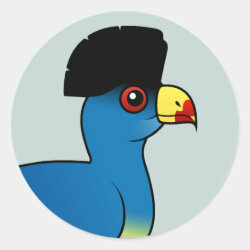 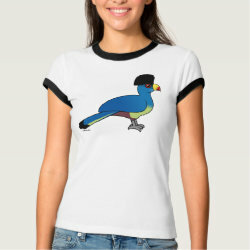 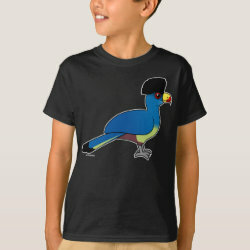 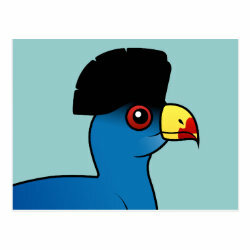 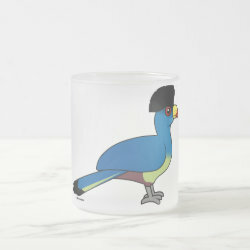 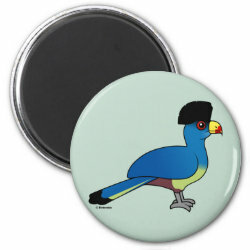 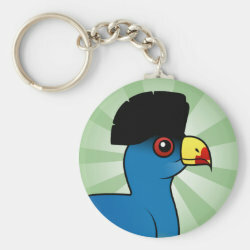 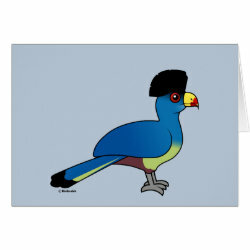 The Great Blue Turaco is a large species of turaco that lives across central Africa. They feed on fruit, leaves and flowers. 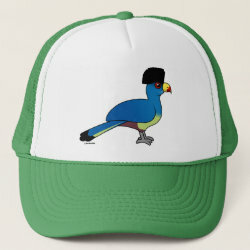 The striking body plumage of green-blue and yellow also includes a tall, thick dark head more... crest. 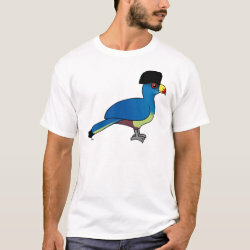 Juveniles sport smaller crests and an overall duller plumage from adults. 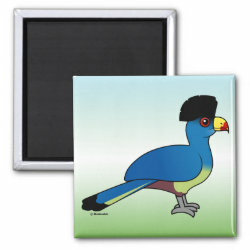 The Great Blue Turaco is highly territorial, and highly vocal with a loud and deep guttural call.